Hurricanes are devastating natural disasters affecting millions of Americans every year. Sadly, those lucky enough to survive the violent mega-storms are often left to pick up the pieces to their lives, quite literally. Property damage to homes and businesses can range well into the billions. Unfortunately, dealing with insurance companies during such challenging times can be overwhelming and often make you feel as if the deck is stacked against you. This can be especially true when you have damaged property that is in immediate need of repair. 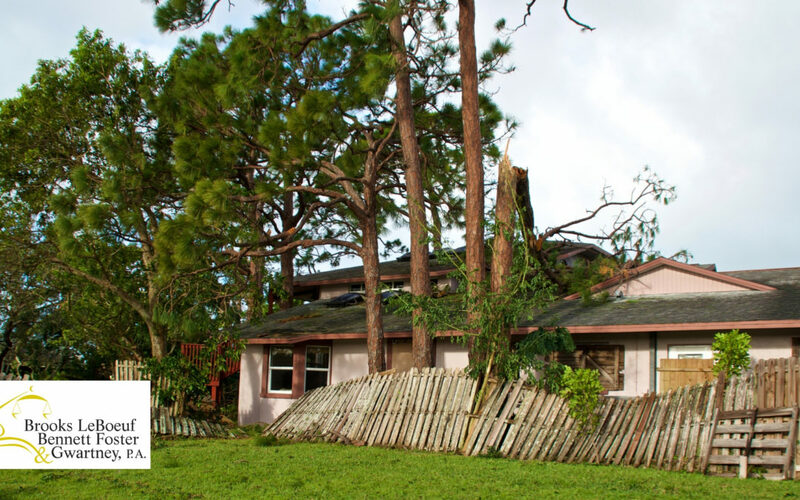 If you or someone you know has suffered hurricane property damage, it is never the wrong time to contact an experienced hurricane insurance defense attorney. Your local attorney will know what the law is related to your case and be well acquainted with making hurricane-related insurance claims. Your attorney will be able to talk to you about why you should or should not consider accepting your insurance company’s first offer. It is in every insurance company’s interest to interpret the terms of your policy in their own favor, no matter how faithful you have been in paying your premiums. Most people do not know or will not be able to be in a position to negotiate alone, either. Your insurer might dictate what damages are covered, what contractors you have to use for repairs, and what the value of your loss is. You, however, do not have to accept it. Policyholders can request second opinions from independent third-party appraisers, and often request a separate mediation for fairer assessments of their claims, which your attorney can handle for you. Contact your insurance company immediately once the storm passes. Document everything, even with pictures and video. Limit any further damage to your property. Schedule a free case evaluation with an experienced hurricane insurance lawyer. Your attorney can deal with insurance claims on your behalf. As experts familiar with the claims process, they can prepare and file the necessary paperwork to achieve optimal results in the least amount of time. They may also keep a network of adjusters, contractors and other professionals so you are not stuck with your insurance company’s appraisal. We know what a difficult time this is for you and your loved ones in the wake of Hurricane Michael. Do not wait to contact our office 24/7 to schedule a free case evaluation so that we may assist you with your hurricane insurance related questions.